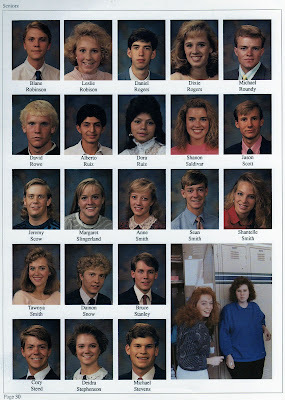 Official Site of the Provo High Class of 1989 20 year Reunion. Click on the picture for a better view of the page. Thanks to Lee Perry for sending these in. Casual Picnic for alumni and their families on Friday, June 26th at 6:00 @ Lions Park, 1280 N. 950 W. Provo. No Cost-Bring your own dinner. Drink and desserts will be provided. Reunion Dinner for alumni and a guest on Saturday, June 27th at 6:30 @ Provo Marriott Hotel, 101 W. 100 N. Provo. Cost of the event for late RSVPs is $45 per person. To purchase tickets select the number attending and click on the "Buy Now" button. Click here for further Reunion Information, or select Reunion Information in the Navigate pane.